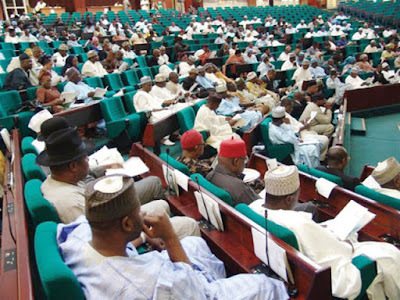 Organised labour, under the aegis of Association of Senior Civil Servants of Nigeria (ASCSN) and Trade Union Congress (TUC), has commended the House of Representatives for approving N30,000 as new national minimum pay. The unions urged the Senate to tow the same ‘noble’ line as quickly as possible, saying the lower legislative chamber had lived up to its promise of giving the wage bill speedy treatment when brought before it. In a statement yesterday, ASCSN and TUC said in approving the N30,000 monthly national minimum wage, the lawmakers had renewed hope that as representatives of the people, they were committed to promoting the welfare of Nigerians. According to them, the decision has also helped to restore Nigeria’s image as an employee friendly country before the international community when it recommended N30,000 monthly to the National Council of State (NCS) for federal workers and N27,000 for states and private sector workers. They urged the lawmakers to keep the momentum and ensure that if the Presidency delays signing the Bill, the House of Representatives should work with the Senate to invoke their constitutional powers and override President Muhammadu Buhari on the issue. The unions also commended the Nigeria Employers’ Consultative Association (NECA) since the minimum wage argument started and its stance during the public hearing organised by the House. They expressed happiness that NECA showed that the country still has men and women of honour who could stand for the truth. “While we thank you for the brave move, we also urge you to follow the bill through until the Senate and the Federal Government approve its payment. The N30,000 can be achieved if state governors have the welfare of the people at heart,” the unions said.